Here is my next blog on my favorite local shops and eateries. This week I will focus on the Downtown area of Brownwood. 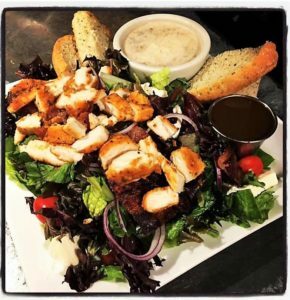 If you love great food, fun atmosphere and friendly service, then you must eat at Steve’s Market & Deli. This small eatery is a local favorite, so favorite that you have to get there right at 11 when they open, or plan on putting you name on the waiting list. But that’s not a bad thing, you have a fun outdoor area to sit and wait and it doesn’t take long to get your spot inside. The food, well, all I can say is, be sure you are hungry. Hand made soups that are amazing and the sandwiches which are all named after locals, you can’t go wrong on any of them. Open Tuesday – Saturday from 11-3. Just around the block is That Crane Store, a fun ladies and children’s shop with really cute clothes, shoes and some decor for you home. Up on the latest styles of comfy, these gals will fix you up with comfort and you will be stylin’. 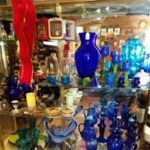 Around another corner is Hunter’s Memories and Antiques, if you love ‘tiques, then you must drop by and visit them while in the downtown area. 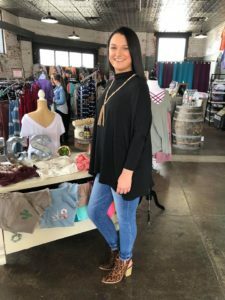 Brownwood, is a small town with lots of local Mom & Pop shops, we love sending our guest to these shops and to eat with the locals that we know and can recommend as some of the best. We hope you will visit them all, and watch for some more blogs on others we love. This entry was posted in Deb's Doodles, Local Places and tagged #visitBrownwood, Texas hill country, things near me by admin. Bookmark the permalink.